Today I’m loving …. these colorful bags from Etsy seller Dazzling Lanna. This shop offers a wide choice of handmade ethnic bags made from materials from Thailand’s Northern Region. 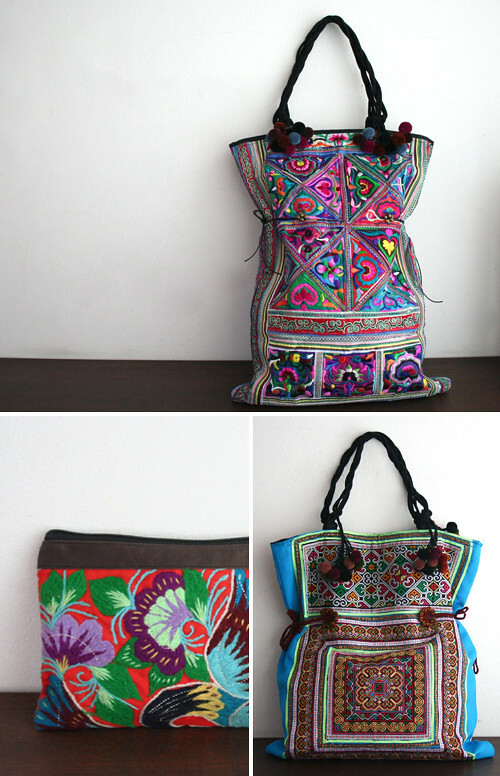 Most of the bags are made from the authentic vintage Hmong baby carrier. Each bag has its own unique pattern. These bags are beautiful, so many lovely colours. tell me the price for this bag asap.